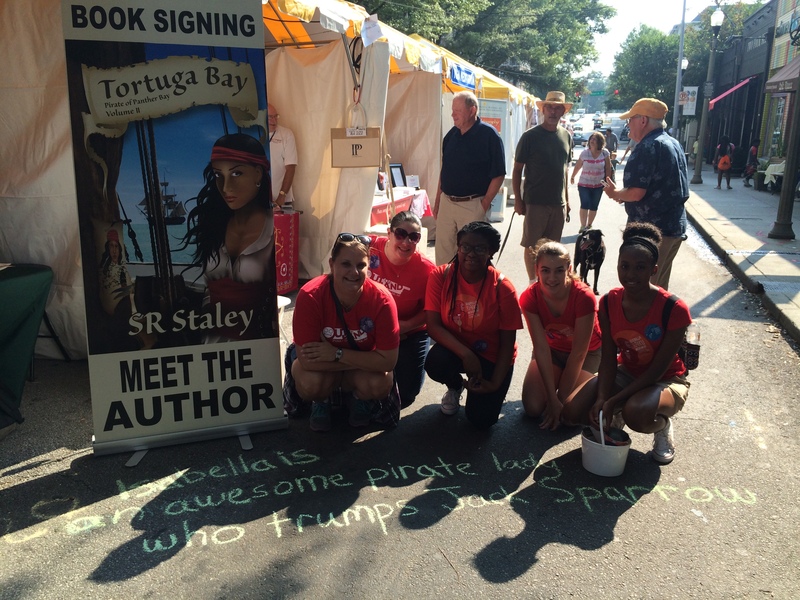 So, I’ve compiled a quick list of the more fun and exciting things I experienced this year at Decatur, both as a writer fine-tuning my craft and a participant who just enjoys engaging with people and having fun. 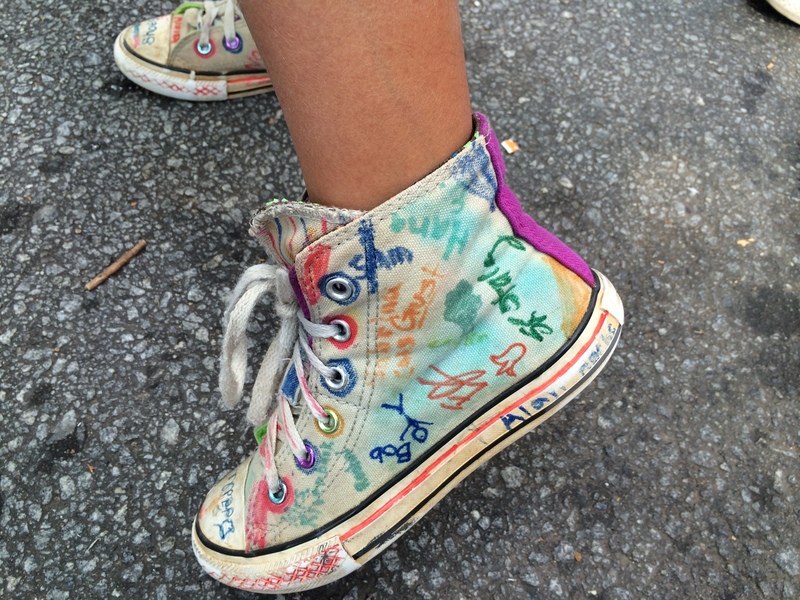 This turned out to do exactly what these teens thought it would do: promote discussion! Many people simply noticed the Haiku, linked it to the sign, and then to the book. In addition to pulling me out of my comfort zone as a budding Haiku poet, it turned out (unintentionally) to be a great marketing tool. 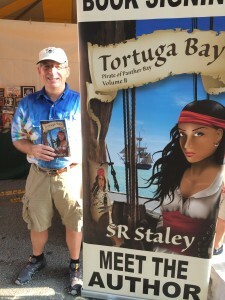 After talking to several readers and buyers, I realized that Tortuga Bay was more than just a sequel to The Pirate of Panther Bay. The plot and story reflects a powerful new character arc for Isabella, the lead character, and I began to articulate it much more lucidly. The Pirate of Panther Bay is about Isabella’s search and discovery of her own identity, reforged after her escape from the sugar plantation and taking over as captain of her own pirate ship. Tortuga Bay is about Isabella finding her place in the world. As a friend of mine says, she is a “woman beast”! 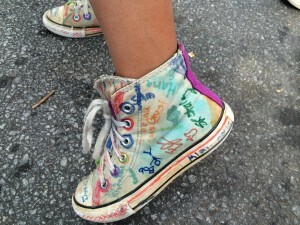 We also found a lot of kids willing to engage with us and ask us questions. So, we pulled out the smart phone and asked them to pose any question they wanted on camera. I’ve posted them to my (SR Staley) youtube channel (with parental permission, of course) under the play list “Kids on the Street”. This was a great way to engage young readers in our profession. I hope to continue this at other book signings and at Downtown Marketplace in Tallahassee. Jo Jo’s interview with me can be found here. Brodie’s interview with me can be found here. Gunnar’s interview with William Mark and can be found here. The one big marketing take away for me this year was the importance and effectiveness of signage. We were able to put up a 6-foot sign advertising Tortuga Bay and the impact was obvious. Of course, we were working with a great cover crafted by SYPP’s Jim Hamer, and that helped a lot. Still, we could see people walking down the sidewalk, see the sign, look over at the book rack, and then step over and pick up the book. (We had similar signs for Robert Burton’s The Burgundy Briefcase and V.L. Brunskill’s Waving Backwards.) The cover design had a huge impact on drawing readers into the booth. Thank you Jim for crafting such a captivating cover! I also really really enjoyed getting to know my fellow SYPP authors Scott Archer Jones (who flew in from New Mexico!) author of The Big Wheel, William Mark (Lost in the Darkness), Roberta Burton (The Burgundy Briefcase), and V.L. Brunskill (Waving Backwards). These are great people and their books are getting excellent press (and winning awards). 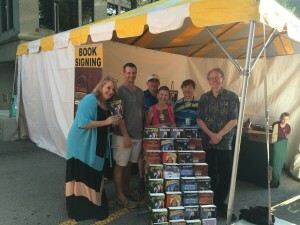 Of course, I really enjoyed selling my books. 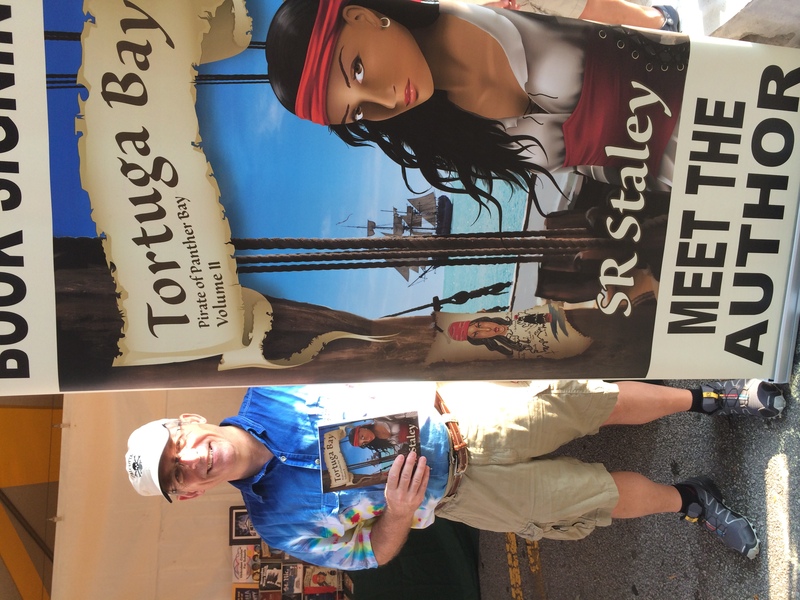 Tortuga Bay and The Pirate of Panther Bay did well with the crowd this year, and having two books in the same series made a big difference. Several people bought both books (even though they are stand alone stories). I sold a few copies of St. Nic, Inc. but the Panther Bay Pirate series was the clear winner for the weekend. I doubt I would have been as successful if my books were each one-offs. Thus, this year’s experience is another example of the benefit of series and multi-book authors. I can’t wait until next year! This entry was posted in Book Signings, Marketing, Pirate of Panther Bay, Tortuga Bay and tagged book signings, Decatur Book Festival, guerrilla haiku, marketing, pirate of panther bay, Southern Yellow Pine Publishing, SR Staley, SYPP, Tortuga Bay on September 7, 2015 by SR Staley.